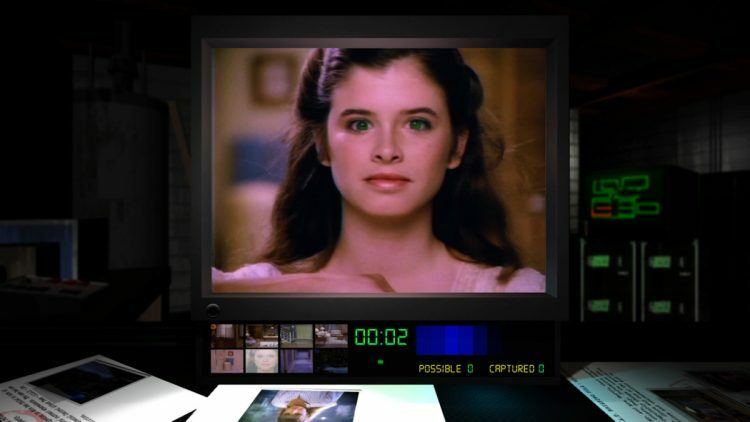 Night Trap at its core tries to give players the ability to play an interactive movie, an idea that started over at Hasbro all the way back in 1986 with the prototype known as Scene of the Crime, which later lead to the creation of Night Trap in 1988. Hasbro would later cancel their plans for a home console and this lead executive producer Tom Zito to purchase the footage shot for the Night Trap video game from the company and release his project on the SEGA CD. The game would later make history by being shown to the United States Senate committee in 1993 on violent video games, along with Mortal Kombat. This then lead to the creation of the rating system we have now, the ESRB. Thanks United States Senate… I guess. Its quite odd considering that Night Trap is pretty tame, even for movies in the early 90s. 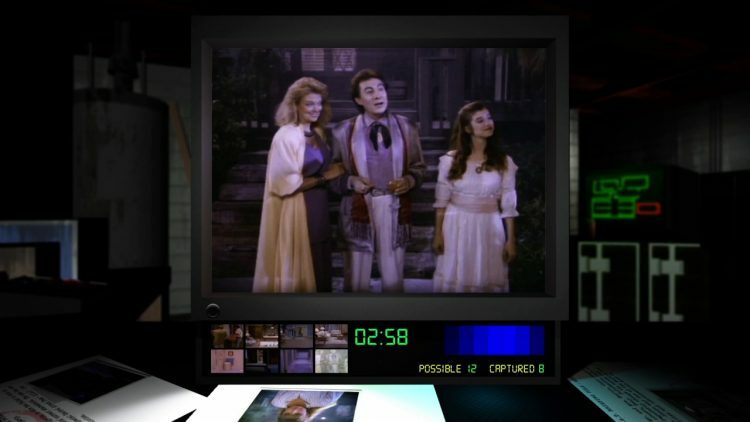 Night Trap has you playing as a member of the S.C.A.T. (SEGA Control Attack Team or in this game Special Control Attack Team) with the mission of figuring out why five teenage girls went missing near the Martin winery estate. The Martin family swear they don’t know what happen to the teenage girls, but as their under suspicion S.C.A.T. agents decide to cut into the security system, which happens to control traps throughout the home.The game has you protecting a group of newly invited teenage girls from the Martin family and creatures known as the Augers. One of these teenage girls is undercover agent Kelli Mead (played by Dana Plato from Diff’rent Strokes). You as a player will have to watch the story unfold as you switch between eight cameras throughout the house, use traps to save in-film characters and try to listen as the Martin family members change the security color code. The last part isn’t really explained when you first start the game, but there will be specific scenes where family members will talk about changing the color code, which means you have to change it in the menu or your traps won’t work. If you don’t trap enough Augers, its game over. The acting in the game is cheesy, B movie type stuff and that’s why I used to be a huge fan of the release way back in the day. While the game might use over an hour of footage to tell its tale, the game’s length is about 25 minutes. There are multiple endings you can unlock depending on who dies, who survives and other factors. While the game might look very passive, it’s actually quite hectic as you move around cameras trying not only to get a sense of the story but also trying to kill Augers before they get to their victims. One of my pet peeves about Night Trap is how cheap some of the inputs are, the game makes you guess sometimes if its the bad guy or the good character on a trap, guess wrong and their dead. Night Trap 25th Anniversary Edition really is the best version of the game to ever come out. Switching between cameras is a snap, the picture is clear and the sound is fantastic. Check our video review above to see a comparison between the old versions and the new 25th Anniversary Edition. This release also has deleted scenes spliced into the main game that never made it into prior releases, Survivor mode where you try to kill as many Aurgers as possible, the never before released prototype of Scene of the Crime, production art, behind the scenes footage, and much more. Its actually quite impressive how much Screaming Villian went back into the archives to create the definitive package for Night Trap 25th Anniversary Edition. Though the release seems to have minor issues like black loading screens that seem to take a tad too long and the the last ending scene being notably lower quality compared to the rest of the footage. Even with that in mind, its still light years ahead of the SEGA CD version most of us grew up falling in love with. 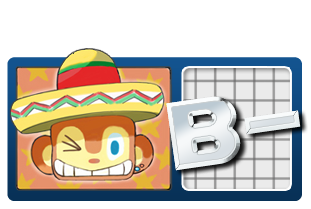 Giving this game a rating is hard. While the game’s novelty might has worn off for most new gamers, if you were a fan of FMV games in the 90s this is totally for you. Night Trap has a cult following for a reason, its because it has a charming, cheesy story and with this release it plays better than ever. Screaming Villain really did think of almost everything, the game even includes menu overlays from all past releases. With all the quality to life improvements added to the title, its hard not to recommend to fans of the old FMV games that have been looking for an excuse to replay this classic. Would I recommend this game to everyone? Probably not. Its a very niche group of people that would enjoy this release. Even has old SEGA CD overlays!